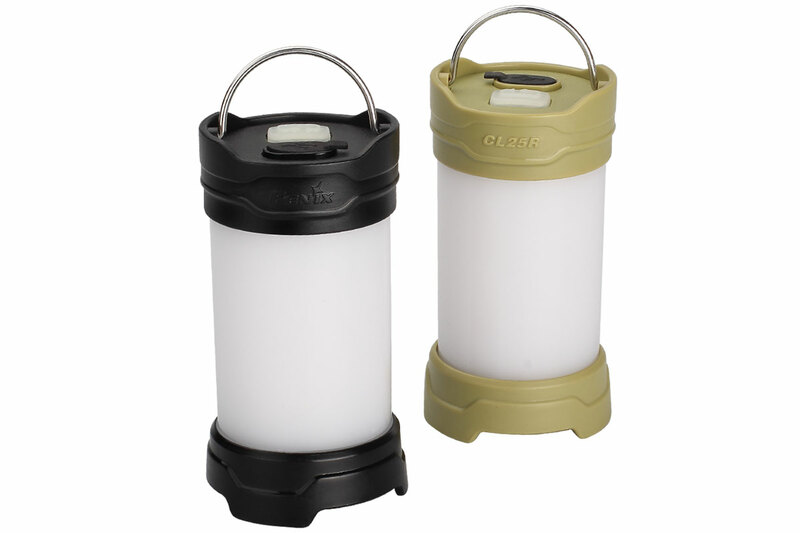 The Fenix CL25R LED Rechargeable Lantern features maximum 350 lumens, a Micro-USB rechargeable function, a very small size, measuring only 3.9 inches (99mm) tall and weighing only 4.5 oz (130g) within a cold-resistant structure. The Fenix CL25R rechargeable lantern includes 6 modes with a red light, moonlight mode and a maximum runtime of 600 hours. This adaptable lantern can be hung, stuck to a metal object with its magnetic base or mounted to a tripod. Best Use Perfect for camping and automotive repair..